Quick. Which brand revolutionized the way Americans drink their coffee? No, not that one. Earlier. Anyone who had a television from the late 1960s through the next couple of decades is familiar with the commercials featuring none other than Joltin’ Joe DiMaggio as Mr. Coffee’s pitchman. The real Mr. Coffee title, however, should go to its inventor, one Vincent Marotta Sr. Marotta was drafted by the NFL’s New York Football Giants and the upstart AAFC’s Cleveland Browns. He chose Cleveland, but does not appear to have earned any playing time on a Browns roster loaded with talent. 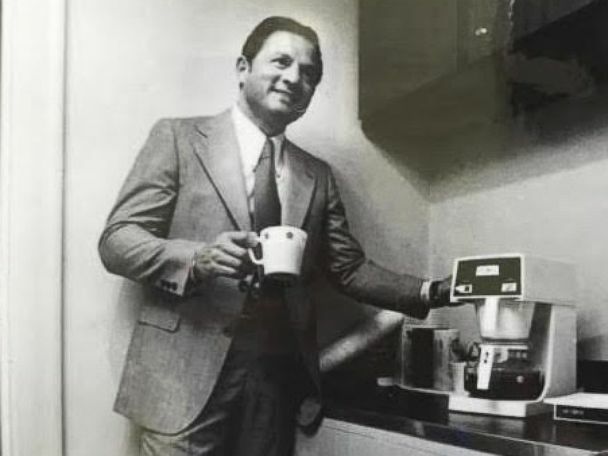 Well after he hung up his cleats, Marotta went into commercial real estate, but his true genius was in finding an alternative in 1968 to the old household coffee percolator – a tried and true but imperfect method of home-brewing. The only option available at the time was instant – no option at all if you liked good coffee. How to get a cup of home brew that rivaled restaurant drip makers in quality? The answer (with the help of a couple of former Westinghouse engineers) was the Mr. Coffee machine. His second brilliant idea was in convincing Joe DiMaggio to serve as Mr. Coffee pitchman. As an entrepreneur myself, I had to smile when I read of Marotta’s obsession with his invention. 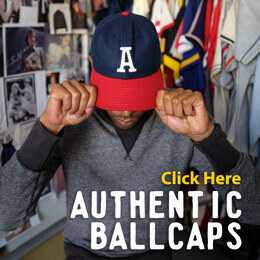 “I was so involved with the thing…it was like Michelangelo when he was making his Moses.” A little hyperbolic perhaps, but that is exactly how one feels in the throes of creation (I remember a similar obsession with re-creating the wool flannel baseball jersey nearly three decades ago). Marotta with his invention in 1978. Mr. Coffee is still with us, but we lost its creator on Saturday at the age of 91. And what did DiMaggio actually think of Mr. Coffee? He avoided the beverage because of his ulcers. Here’s one of the famous Mr. Coffee TV spots featuring the slugger-turned appliance salesman.